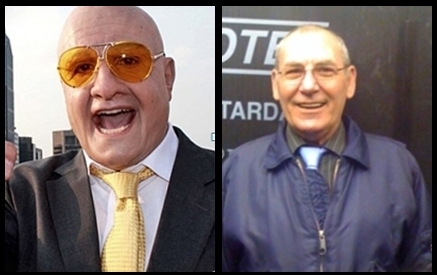 My bestest old buddy bears a remarkable similarity to Facejackers Terry Tibbs???! Beautiful, beautiful! ESPECIALLY HERE AT THE BAR! THANK YOU, GOODNIGHT, MUCH LOVE! This entry was posted in Kevs Anti-Rants and tagged Facejacker, Fonejacker, Ray bush, Terry Tibbs on September 13, 2012 by Kevin.